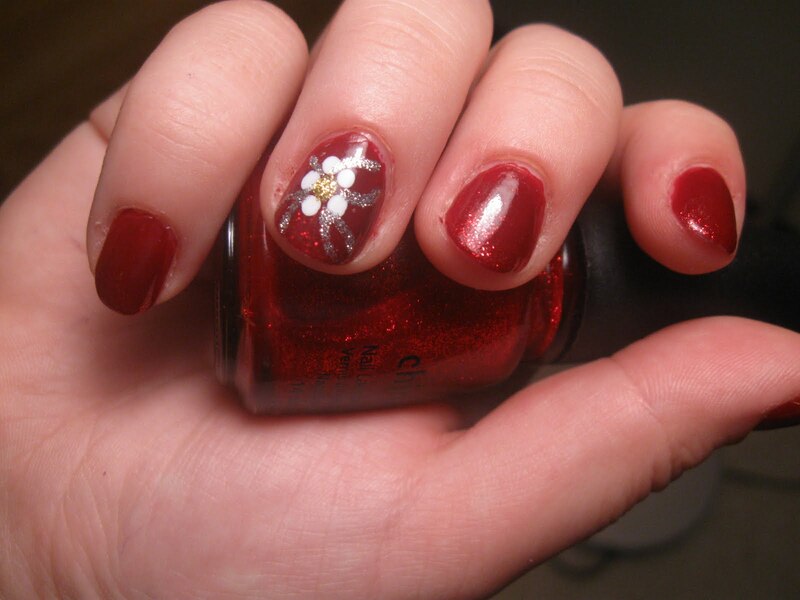 My roommate, Shelby, had a big date last weekend and was super in the mood for red nails. Having only lived together since the beginning of the month, she had no idea the amount of nail polish I possess and asked if my other roommates, Cynthia and Charlotte, or I had any red polish she could borrow. So I broke out my box of polishes and watched as her eyes widened with excitement. Having just completed my first gradient (see blue gradient manicure a few posts below), I decided to try a version of a glitter gradient. Shelby picked out an old school burgundy Rimmel named Shocker, I grabbed my favorite China Glaze of all time, Ruby Pumps, and went to work. The result was pretty cute and something I might try again for myself, but this time, with a darker red shade that borders on black. OPI Black Cherry Chutney, for example. And for those of you who were wondering... the date went even better than the manicure looked.